What bankers fear most is a bank run. Yet for how many weeks now have we lived with the event affectionately named Bank Fail Friday with nary a jog? How is this possible? 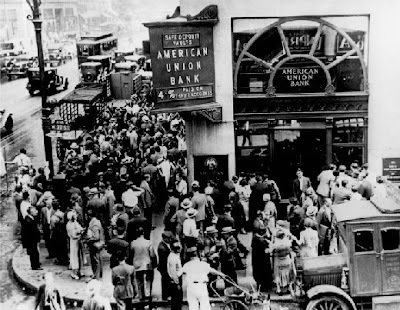 Seemingly our monetary patriarch Ben "POTY" Bernanke his Holiness has eliminated the greatest systemic threat of the Great Depression, the bank run. Is this possible? Today, the international need for long-term reliable money still exists. Only gold can play that role to satisfaction. Speculators aside, the paper gold trade (as largely explained in Aristotle's work) has functioned as a much needed currency of gold in a fashion very similar to that just described for the dollar during the Roaring Twenties...albeit with a floating dollar attachment rather than a fixed one. The paper gold is received and held as a contract that specifies a right to gold delivery, perhaps some as a lump sum, perhaps as installments. (Contracts can be written so many ways!) The key parallel, and purpose of this post is to show you that this works only as long as confidence is retained, and that excessive issues of claims has not jeopardized the real ability to get gold without being the one left holding the bag of paper gold when the bottom drops out. Now I am aware of some relatively new and modern monetary theories that claim our system is no longer a fractional reserve system at all. Fine, but let's at least agree on some truths. Ever since gold was removed from the modern banking system and "bank credit money" system, the system has operated such that "private bank credit money" is a derivative of fractionally reserved "central bank credit money". 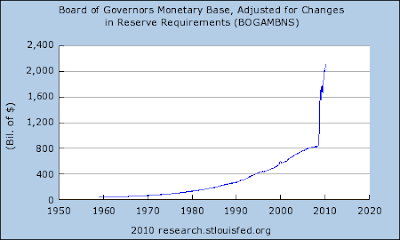 CB credit money being the monetary base, physical cash plus reserves held at the Fed. Whether or not the actual fraction is controlled or regulated is irrelevant to the fact that a fraction exists. It may not be 10%. It may not even be 1%. It may not even have the least bit of constraining function anymore. 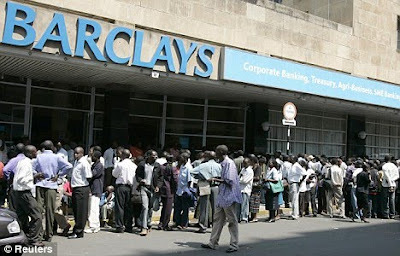 But there does exist, at any given time, a fraction at which "commercial bank liabilities" circulating in the economy relate to base money or Central Bank liabilities. And it is these Central Bank liabilities that settle imbalances between private banks when clearing their circulating liabilities, the role previously held by gold. Some of you know exactly what I'm talking about and others, I'm sure, are a little bit lost at this point. But don't pause if you are lost. It will make sense in a moment. In the interview, Mr Christian recommended that listeners go to the CPM Group website where there was a free download Bullion Banking Explained. I took him up on the offer. Below are some extracts that fill out his statements above. During the CFTC hearing Mr. Christian admitted that the CPM group uses the term "physical" in a very loose way. That "physical" actually means paper claims and physical combined. So these Bullion Banks are holding paper liabilities from other Bullion Banks and mining operations and calling them "physical reserves". Very circular, don't you think? So under this loose definition of "physical gold", perhaps Mr. Christian was not lying. Perhaps the banks do constrain their naked shorting with at least 10% paper longs from "credible sources". And if so, I would guess that those credible sources also have 10% "reserves" behind their paper. And so on, and so forth. Well, I hope you can clearly see the problem here. 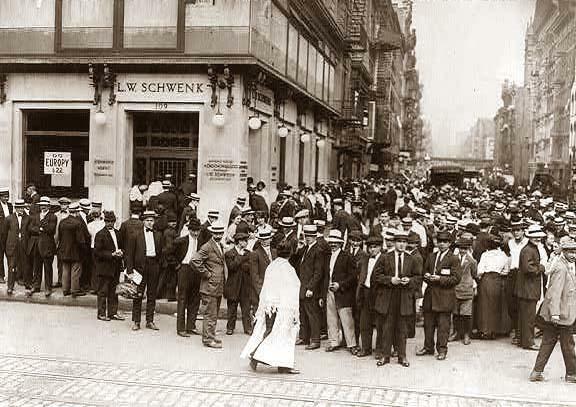 When the bank run finally begins people and entities will want real physical gold, not paper longs, or liabilities from credible sources. It all comes down to gold, the actual physical stuff. That's what the people wanted during the bank runs of the 1930's. It is what brought down the London Gold Pool. It is what forced the closing of the Nixon gold window. And it will be what people want this time too. 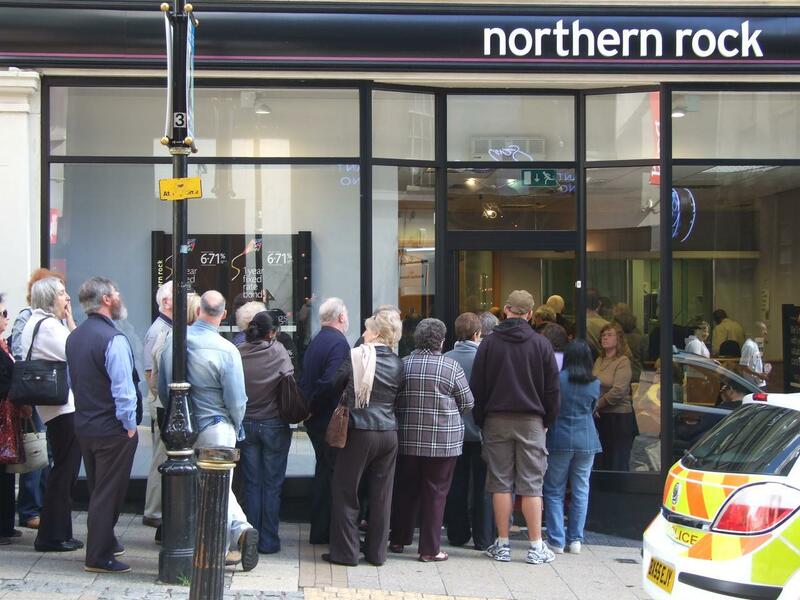 That's the real bank run... to actual physical gold in your own possession. Think back to Exter's pyramid, and how demand collapses downward during a crisis. Think about "commercial bank credit money" as being higher on the pyramid than FRNs, actual physical cash. This is true. As we collapse downward to gold the banks themselves will shun each other's credit receipts in favor of central bank liabilities. 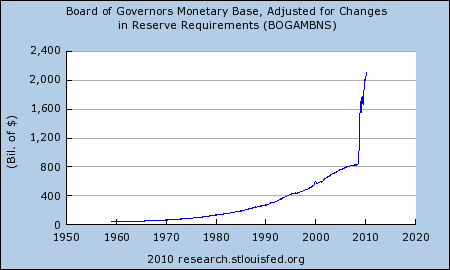 This is where all those excess reserves held at the Fed will finally come into play. Not through economic lending, but through interbank clearing preference, as the banks first try to jettison each other's "digits" as fast as possible. Once the bank run on physical gold begins, these banks are going to be very nervous about holding each other's liabilities, even over night. They will only "sleep well" holding Central Bank liabilities. This is how the transition from plastic to wheelbarrow begins. 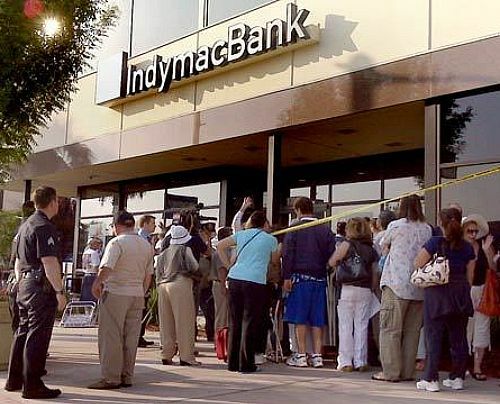 We may not see a bank run on Fed cash by the people before we see it within the banks themselves, as interbank faith vaporizes during the run on gold. By this time, the bond will be gone. As the people are running on the Bullion Banks the Fed is going to be very busy monetizing the entirety of US federal spending, from Social Security to Medicare, national defense and even Nancy Pelosi's entourage's per diem. It will all have to be monetized. Meanwhile the Fed will have to keep its remaining banks happy with Fed liabilities to clear the private liabilities, or else they will cease to circulate. Printing dollars and buying up private equity so that each bank only has to hold Fed liabilities. And as the US Government starts spending its fresh new Fed credit, the Fed will have to supply the banks receiving those trillions in USG payment transfers fresh cash to back the massive inflow of new Fed liabilities. You see, this is what hyperinflation is all about. It is about not only demand collapsing down the pyramid, but the system itself also collapses down a pyramid, from modern monetary theory on down to Austrian monetary theory. What seems antiquated in today's digital age still lies dormant beneath the surface, just waiting to emerge with a vengeance. Our physical world didn't change just because we invented the 1971 purely symbolic fiat dollar or the fictional reserve banking system. These were merely derivative layers atop an inverse pyramid no different than CDS or IRS, and just as fragile in times of systemic collapse. In it he makes a very convincing argument for the US dollar to return to a gold standard, backed by the physical gold the US still owns. He explains that the remaining US gold hoard, assuming it is not encumbered and/or swapped for paper longs from "credible sources", mining operations or Germany, is enough at present market values to back the M1 monetary measurement at a 20% fractional reserve (5:1). And furthermore, that a full 1:1 backing of the M1 would restore the credibility of the $-global reserve currency so that the US could resume rolling over its insurmountable debt until it finally reaches infinity. And that this 1:1 backing of M1 would require only a 5-fold increase in price, to say $5,500/ounce or so. Now I do agree with Jim that full backing is not necessary under normal circumstances, but that it would be necessary in order to repair severely damaged credibility. I am not one of the "hard shell gold standard people", but instead, I look for what actually can work, and what will happen. The first problem that struck me with this idea of repairing US credit with a gold revaluation was the use of M1 as the measuring stick of dollars in existence. Again, this could work under normal circumstances, but most of the world's perceived wealth held in dollars is not in M1 holdings. And in the case of credit reparation, I intuit that M3 would be the bare minimum starting point. 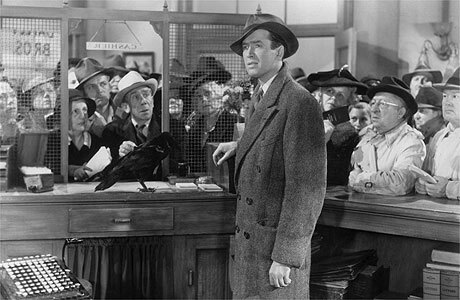 And to his credit, Jim points out that a mere $20,000/ounce would take care of this concern. But this is not the big problem I see with this plan. The biggest problem is what stands in the way of this controlled revaluation. And that is the paper gold market that is already fractionally reserved at 100:1 if we define reserves strictly as physical gold in immediate possession. A Fed revaluation of gold is different than Freegold because it aims to control the revaluation and set a new fixed parity. As nice as this sounds to those of us with some gold, it will always be unsustainable and in the case of today's gold market, is completely impossible without wiping out all of Wall Street and the dollar in the process. Don't get me wrong. I'm not saying that NOT doing it will save Wall Street and the dollar. I am simply saying that this Catch-22, no-win situation the dollar finds itself in just doesn't have an out as easy as this. Here's what would happen if the Fed tried this tomorrow: For those that own gold today, gold would suddenly become their most prized possession. And all of those paper gold holders would suddenly start thinking about what we have been saying for 12 years now. There would be a run on the Bullion Banks and the scramble to find physical gold and stay alive would drive its price well above $5,500 or even $20,000/ounce, driving the dollar and the Fed/US credibility into the dirt simultaneously. Or the Bullion Banks would be backstopped by the Fed and delivery made in paper currency at the new price. Again, people would start to take seriously what we and so many others have been saying and at least some would decide, just to be on the safe side, to turn that paper money into physical. And just imagine, paper delivery being needed even at $5,500 or $20,000 per ounce would destroy the new image the Fed was trying to establish of 1:1 gold backing. How is that going to help the crippled US credit rating in its resumption of debt rollover? Jesse suggests it is more likely the US will issue a new dollar, let's call it an "Amero" for lack of a better name, at 100:1 parity with the old dollar. This is certainly possible. Every fiat currency in all of history has had "an unknown expiration date" as Aragorn III put it above. The point of doing something like this would be to keep some things at nominal parity while devaluing others 100x. Obviously the debt would be devalued, otherwise what would be the point? And this would include the savings of those who held debt. Of course it would give the government the power to pick and choose who and what suffered the devaluation, printing new currency for a few special friends. But again, the biggest problem with a scheme like this is the paper gold market, presently leveraged 100:1 under a strict physical perspective. One would assume a reset of gold at 100x the current price in old dollars if this was attempted. In other words, gold would still be $1,150 in new Ameros, while a debt of 100 old dollars is now only $1 (new Amero). So what happens to a debt denominated in gold instead of dollars? A Bullion Bank that is short an ounce of gold before the reset owes the equivalent of $1,150 old dollars. After the reset it owes the equivalent of $1,150 Ameros. 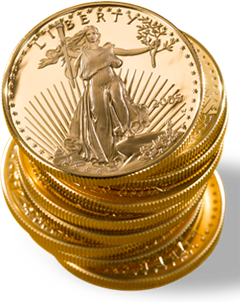 At 100:1 old dollar:Amero exchange that is $115,000 old dollars, for one ounce of gold. So while debt in dollars drops by a factor of 100, debt in gold does the exact opposite, it RISES 100x! Buh bye Wall Street... buh bye reserve status... buh bye USG credibility. "Advance to Freegold and collect wealth transfer as you pass Go". 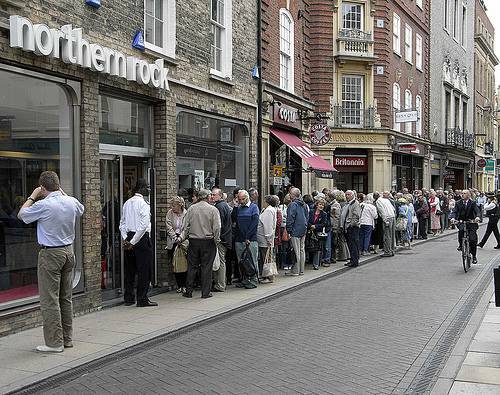 This is The 21st Century Bank Run! 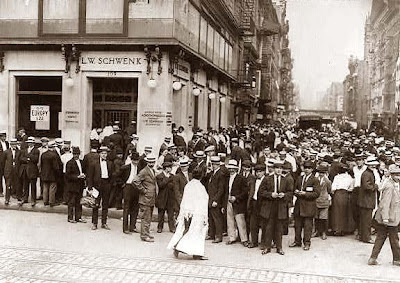 It is a run on the gold banks, which is a run on Wall Street (because they are the bullion banks), which is a run on the entire $IMFS and on the dollar itself in the end. And for those of you inside the US, this will be the second best thing that ever happened to America, because it will kill the long march toward socialism dead in its tracks. Just be sure to protect your own wealth so that you can be part of the rebuilding effort. Very illuminating -- thank you! I too feel very suspicious of a forced revaluation of gold. It poses serious theoretical difficulties and additionally governments cannot be trusted to implement it effectively and honestly. The Free Market will take care of it, and it will be fascinating to behold! This next run will be devastating for the sheeple that don't adjust. Thank you for posting an illuminating piece. So much of individual attitudes about money and value are psychological and a mass turning point cannot be predicted. It is indeed the madness of crowds...but when it happens this time, the crowds will be right! Japan’s ruling party has called for drastic monetary easing to devalue the yen by 30% and halt the slide into deflation, putting it on a collision course with the Bank of Japan. Thank you FOFOA! Thank you for the depth of your perception and the clarity of your prose; I always feel so much better after reading your posts. There is so much in the news to be afraid for -- but hope for Freegold! The April 15th metal value of these nickels is “$0.0634674” or 126.93% of face value, according to the “United States Circulating Coinage Intrinsic Value Table” available at Coinflation.com. "Let's bear in mind that the chances to multiply wealth are unlimited. All people can become rich. There is an error in our understandings - that all people cannot become equally rich. Wealth can not exist where the people are busy with mutual cheating, have no time for creating values and wealth. It is remarkable that we can find the greatest number of wealthy tradesmen and a population on a high standard of living in countries with a high level of business morality. On the other hand, we can find poor tradesmen and entrepreneurs and an impoverished population in countries with a low standard of business morality. This is natural because these people concentrate on cheating one another instead of trying to create value." Once he said that depression is just a degeneration of values. In Al Capone-sque logic, this may be interpreted as: "get rid of the gold debt holders". This is quite a grotesque world indeed. Is there any concentration of paper gold claims? Do Saudis hold most of the claims, for example? IMHO this is the best post you have done so far. Even a simpleton, with some humility and mental effort, should be able to grasp your meaning and understand how to protect their wealth. Otmar Issing: Europe and the Euro from an architects perspective. Ah, but... WHEN? Hours? Days? Weeks? Months? Years? Decades?? "That is the sound of inevitability". I have the patience to wait. FOFOA, thank you once again. As long as you have strong hands, what does it matter? You cannot hold back the tide. If you have had your ear to the ground you will have noticed that momentum is building. Outstanding piece. What are your thoughts on tying together a gold revaluation with a move to full scale digital currency? I read from this that you there is simply no way out of this barring eliminating the counterparties -- full stop (war). Unless the counterparties are part of the axis of the willing or at least could succumb to being buought off (enter IMF $500B in new lending this week?). Finally, wouldn't such action require at a minimum a manditory principal writedown before 1:1 conversion as the boomerang effect of any move to new fx cause food/material/lifestyle (margin compression/pressure on employment etc. )would only exacerbate the anger/indebtedness in real terms. banks would simply convert assets and liabilities to Amero offering no relief to J6P. Such a "solution" seems to have many boomerang negatives based on imported core goods (food, oil etc) - unless the gold replaces the derivatives complex that you eloquently described as the system's core excess liquidity sponge. If you are going to default why not on everything. perhaps that is why the UIS is unveiling conventional aremed ICBMs etc. No matter how you cut it, seems like war becomes more probable by the day. Another great post! Thanks FOFOA! The incredible attept of the MSM and the complex to somehow implicate Paulson in this is startling. Even more interesting is the nexus to gold and how he will have to dump all his investments (presumably becasuse he was smart enough to short the blaoted hosuing market). it is all the more ironic given the media types are salivating over the sell gold story while they ignore the bank positions that would also presumably have to be sold. My gut instinct tells me that we're only a few months away from a full-on run in the Gold market. Gold & Silver were hit hard today. Options Expiration Friday - Another Manufactured Sell Off? "We're seeing the PHYSICAL Gold decouple from fake Wall Street paper gold right before our eyes"
I can also see NAV of CEF was 9,2 % over gold/silver spot price day ago and is 6,5 % today. Superb article. Could the author, or someone who understands what the author is saying in this regard, elucidate as to how the drop in the value of the dollar would manifest. Is this a reference to a 'domestic' drop in value, i.e. higher prices for domestic goods/services, or a reference to an exodus of the dollar into a other currencies in the basket, i.e. higher prices for foreign goods.services? It means WAY higher prices for everything - both domestic and imported goods including oil. Anybody found holding paper dollars at the time of implosion will be DECIMATED. I mean no disrespect, but Vitaly Katsenelson is an idiot. This is not say that China is not in a bubble. I don't know enough to have an opinion either way. Jim Sincair is always bullish on his predictions of Alf's Numbers are constant but this is the first time I have read something like this from him. Let no weakness in gold disturb you at this time. I speak directly to the biggest and the best in the metals markets worldwide. These are not talking heads and in fact are never interviewed. They speak to me because they feel I have something meaningful to contribute. After 52 (1958 to present) years, it is safe to assume I have learned a thing or two about the noble metal. France was big at the start of the 1968 to 1980 bull market. The Saudis came in later and were responsible, in my opinion, for taking gold from $400 on the second break through all the way up. The Middle East in general has this time been late to the market. As the violence only increases in currencies, energy money is baffled on how to maintain the value of this paper developed from crude oil and its products. Go back to the missive "Gold $5000+ by Martin Armstrong" and revisit his best case scenario which was a decline in April followed by one dickens of a rally thereafter. Thanks to the Goldman Sachs revelation, the entire derivatives market looks like the Wild West and the 40 thieves. Greece is not the only sovereign that has used OTC derivatives weapons of mass destruction to cheat. By the time this is over, certain states of the USA are going to get caught in the OTC web. No regulation means a damn thing now because regulations are simply from now looking forward. Nothing whatsoever can erase these trillions of dollars of toxic fraudulent BS paper out there. Even the BIS changed their measure of notional value of OTC derivatives by going to a computer model that is called "Value to Maturity" which reduced the number from one trillion, one hundred and forty four billion of this crap outstanding to a tad over six hundred billion. All that did was create a sad cartoon. Stay the course. We are a few days from a stratospheric takeoff in the price of gold." So much financial destruction must take place to cleanse the system it truly is sad. And the American public has no idea what is in store for them. Any response to the Dylan Grice piece on ZH..re the euro meeting its end. Some irony in using the gold standard as mechanism that was also to considered unthinkable to break. I will post my response under the new post. Thank you for this intriguing article. I have been thinking about the drop in the price of gold that happened last Friday. A day before the drop the US President met with all Wall Street guys. To me it seem that the Fed and the bullion banks dropped the price to sucker in an enormous amount of leveraged shorts, so that they themselves can become net long. This way, they believe, they can save the credibility of the dollar while at the same time not sacrificing Wall Street. The hedge funds and various small time speculators will be left holding the bag and go belly up... They don't fear such an outcome as the MF Global situation proved that people will let it fly. The COMEX will have to default, though. Is this a possibility?